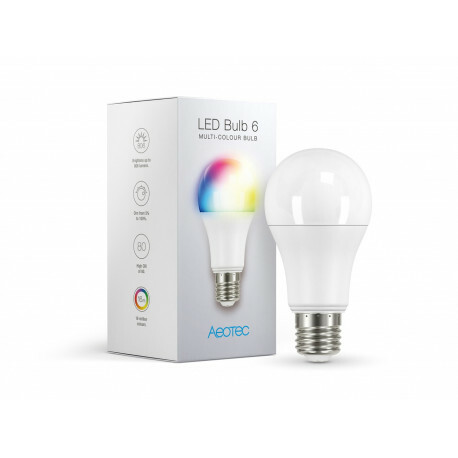 The smart AEOTEC LED Bulb 6 Multi-Color turns your home light into smart lights. The LED bulb fits into every E27 bulb holder and can be connected to a Smart Home gateway via Z-Wave wireless technology right after being powered with 230V. The required Z-Wave chip is already integrated into the bulb’s housing. You can vary brightness and light color easily via remote control, smartphone or tablet. Daylight, candle light or party atmosphere: As of now you can define light atmosphere according to your wishes. You can also use scenes (e.g. in case of an alarm) to activate an appropriate light color like red. 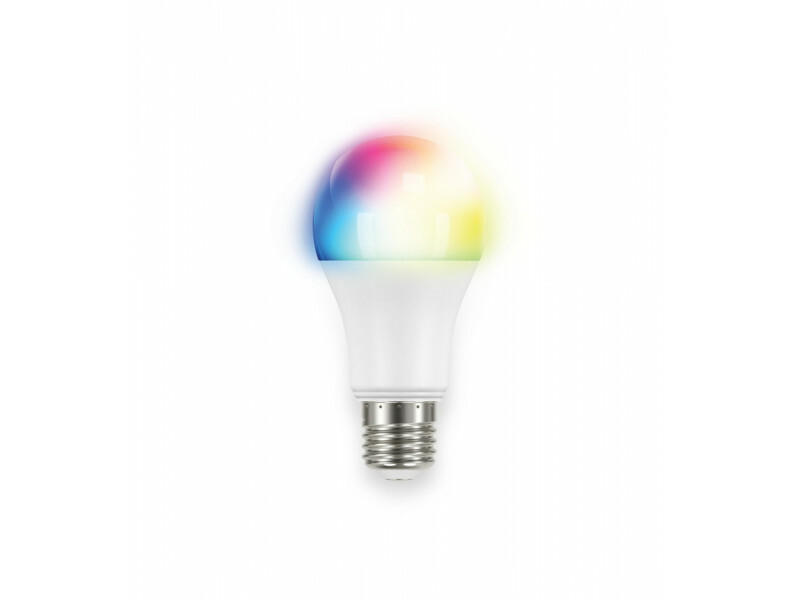 The multi-color edition of the LED Bulb 6 offers 16 million colors which are dimmable. Dependening on your mood you can use the full range of rainbow colors and many more. Due to LED technology, power consumption is very low compared to conventional bulbs. 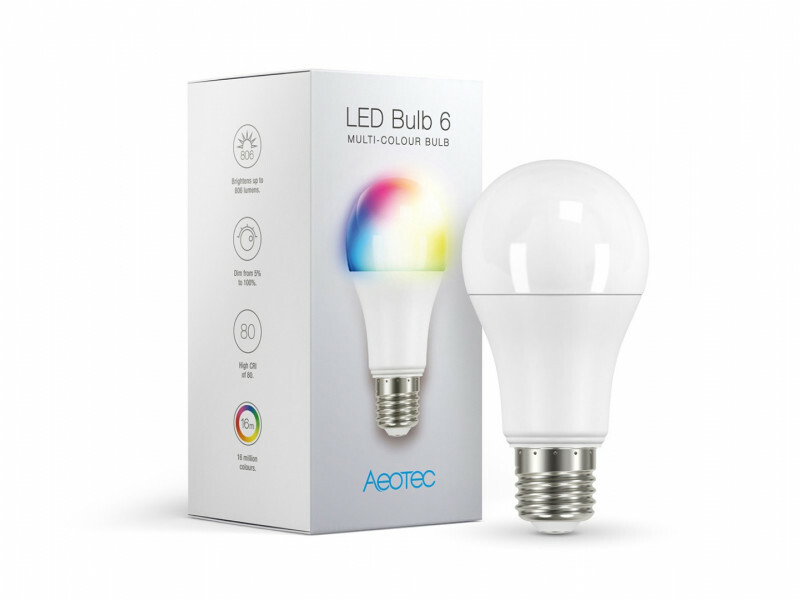 The Aeotec bulb is as bright as a conventional 60W bulb, but needs only 9.5 W. You can safe money and protect the enviroment because the LED bulb has got a life time of up to 25,000 hours.